I was wondering what to do on a horrible rainy Sunday when a friend suggested checking out the Block Party Cafe. 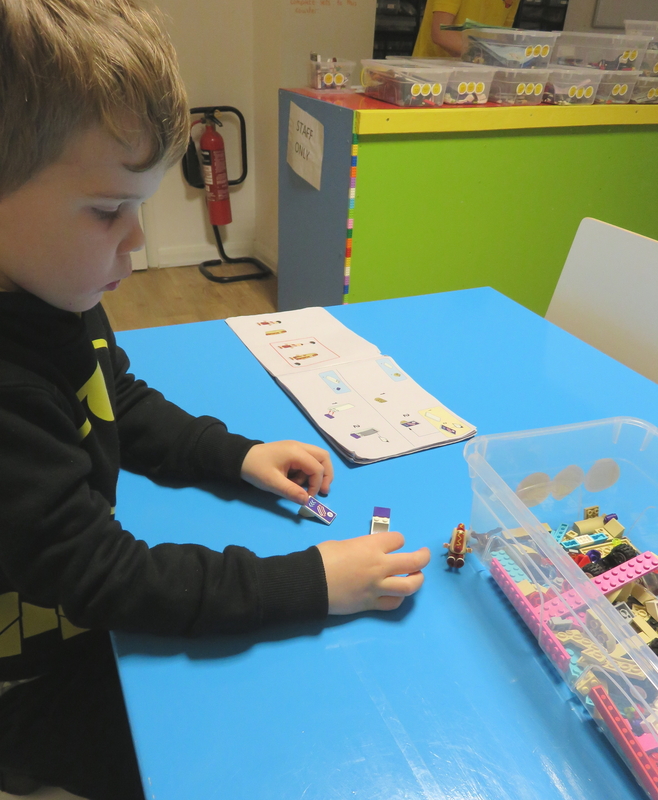 I remembered seeing an advert about it and as I have a Lego mad 4 year old it seemed like an ideal combination – somewhere he could play and I could get a cup of tea! I was really pleasantly surprised to find it not rammed to the rafters – usually trying to find things to do on a rainy weekend means getting stuck with the rest of the population of the area also desperately trying to entertain their kids. You can call in advance and reserve a spot but there was no need on this occasion. 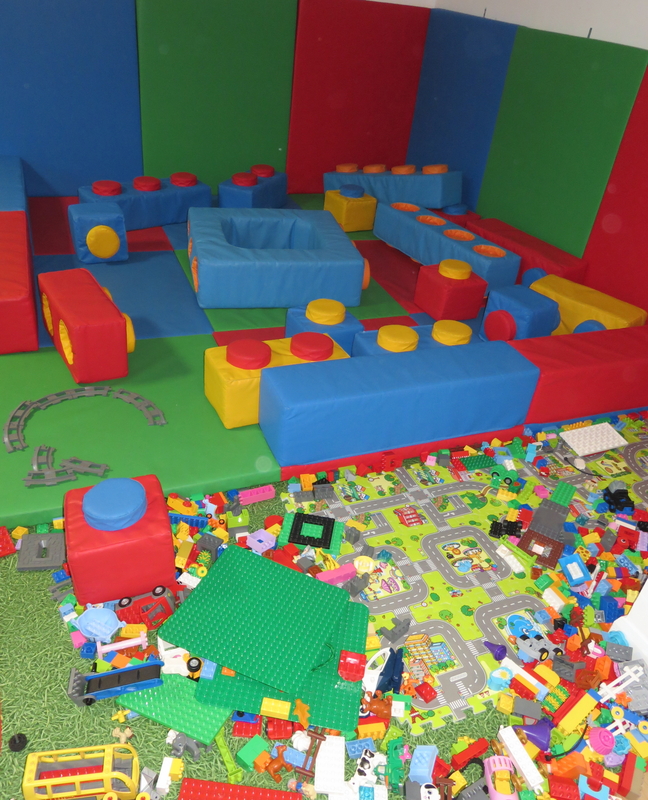 Inside the shop is made up of different areas – there is a soft play brick area for the young ones and a section with some Duplo, some large mats of little Lego for free play, and a whole lot of different sets marked up as 1/2/3 rating to show their complexity that you can borrow and do at the tables by the cafe. We found the staff all really friendly and helpful – we found a piece missing in our set and they immediately helped find a replacement so we could finish our set. It’s £4 for a 2.5 hour session, and the food and drinks in the cafe are reasonably priced. There was a good selection of healthy options as well as treats too! Our top tip for parking is Lances Hill car park – if you park the far end of the car park there is a walkway from the carpark which comes out directly opposite the shop by the crossing, and it’s 5 hours free parking. This entry was posted on 21 January, 2018 at 8:32 pm and is filed under Days out, Entertainment. You can follow any responses to this entry through the RSS 2.0 feed. You can leave a response, or trackback from your own site.